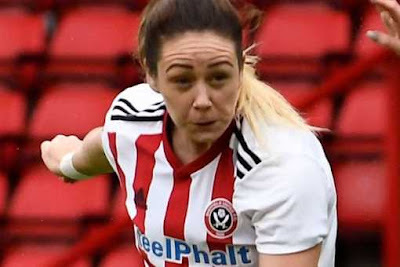 Sheffield United Women's participant Sophie Jones has been charged with alleged racist abuse toward Tottenham Ladies defender Renee Hector. It is alleged that phrases Jones used across an FA Women's Championship fixture on January 6 breached Rule E3 as they had been abusive and/or insulting. It is additional alleged that the phrases constituted an 'Aggravated Breach', that's described in Rule E3, as they protected reference to ethnic origin and/or coloration and/or race. Sheffield United showed their participant had been charged, pending a proper FA disciplinary hearing, on Thursday. A membership statement said: "The Club has co-operated absolutely with the Football Association's research across the next weeks. "The Club works intently with the EFL, the FA and Kick it Out and want to reiterate that it doesn't condone racism or any variety of discrimination. "Sheffield United won't remark additional at the topic till the conclusion of the formal FA disciplinary hearing." Jones has till 15 February 2019 to reply to the charge.